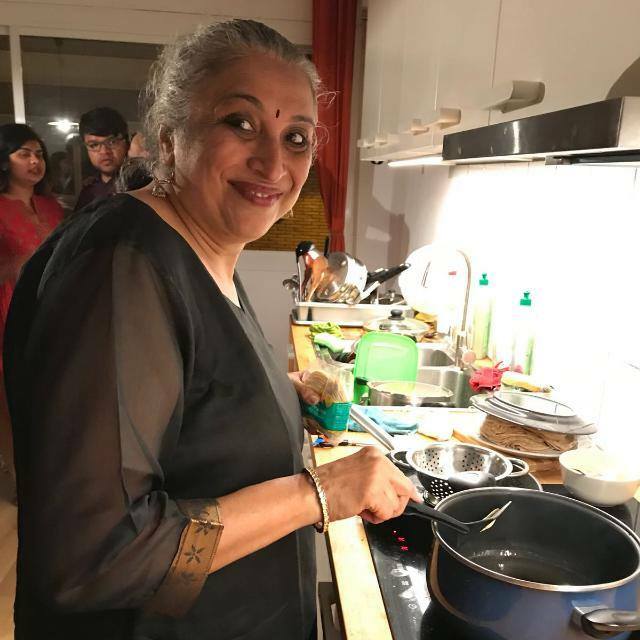 Parul has been cooking for more than 40 years and believes that "Good food is food for the soul and heart". A native of Mumbai, she has made Bangalore truly her home, and enjoys cooking for her family. She says her cooking has been influenced by her love for her family, who are all foodies themselves. About her culinary journey, Parul says "I started cooking by helping my mother in the kitchen as a kid and that gave me lot of joy and pleasure so it slowly became my passion to turn out something good and creative. This is a biggest stress release for me." Parul speaks fluent English, Hindi, Kannada, and Gujarati. She loves cooking, yoga, and connecting with people; and loves to share her love of cooking and her city with others.